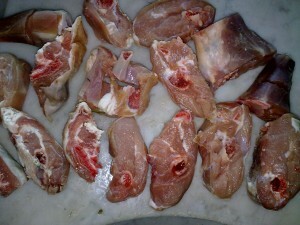 I will use lamb legs cuts. The parts of meat should be cleaned and washed from broken bones. 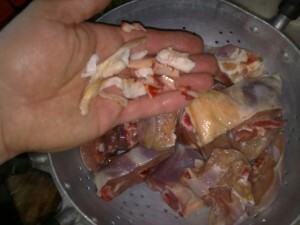 Broken bones are dangerous and we need to get rid of them. 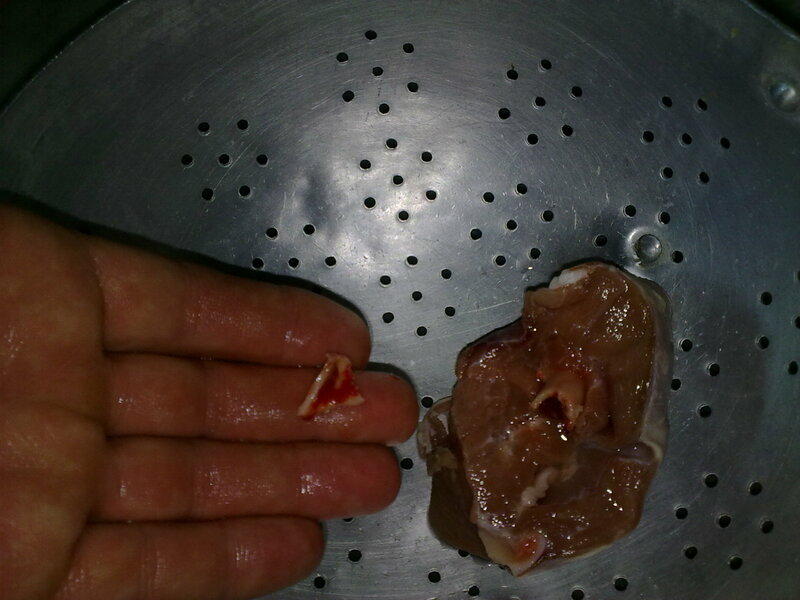 Just to show you how many broken bones are in four pounds of meat. 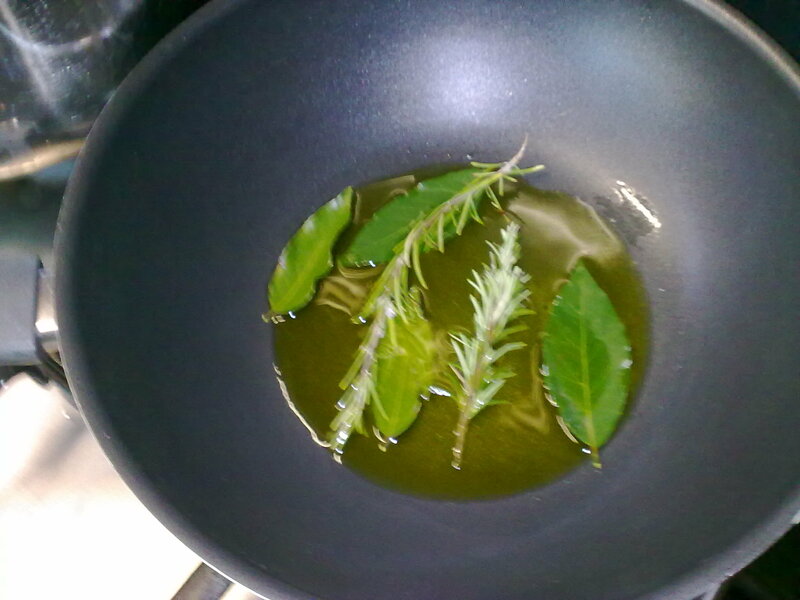 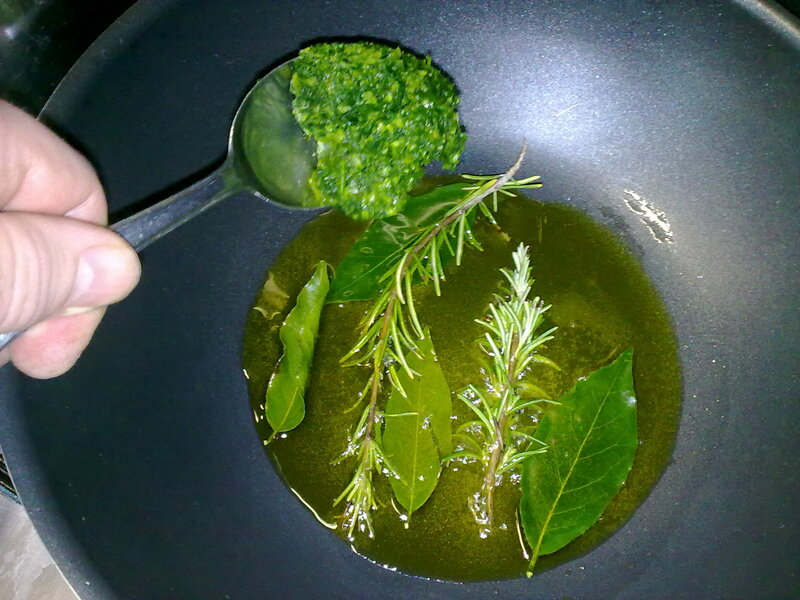 Laurel and rosemary are fried in extra virgin olive oil. 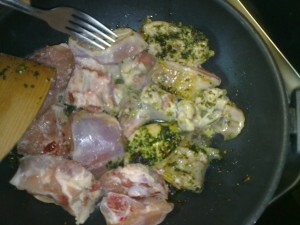 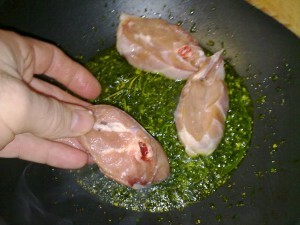 Add one spoon of chopped garlic and parsley mixture. 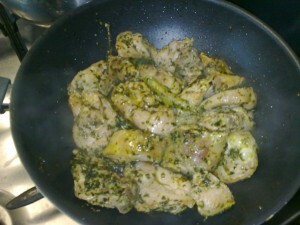 Fry for one or two minutes only. Before the garlic takes color add the lamb. 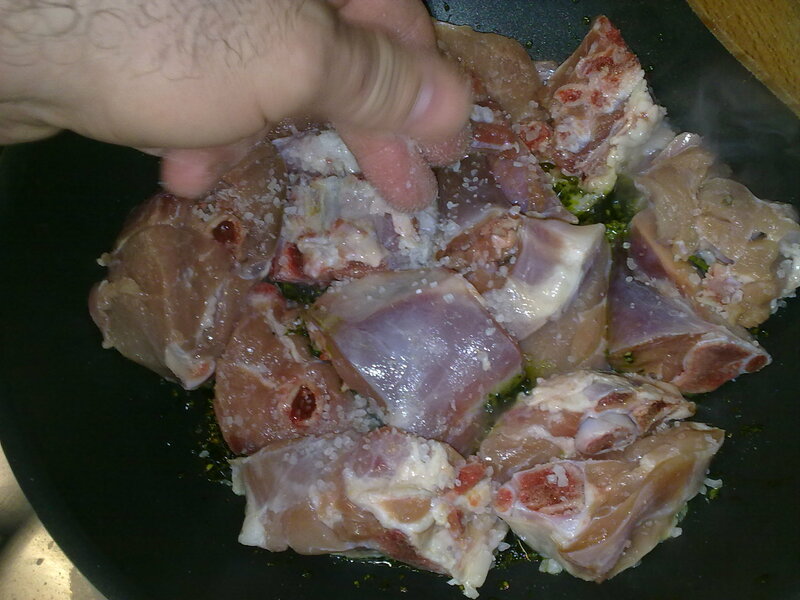 While roasting add two-three pinches of marine salt ( for four pounds of beef). 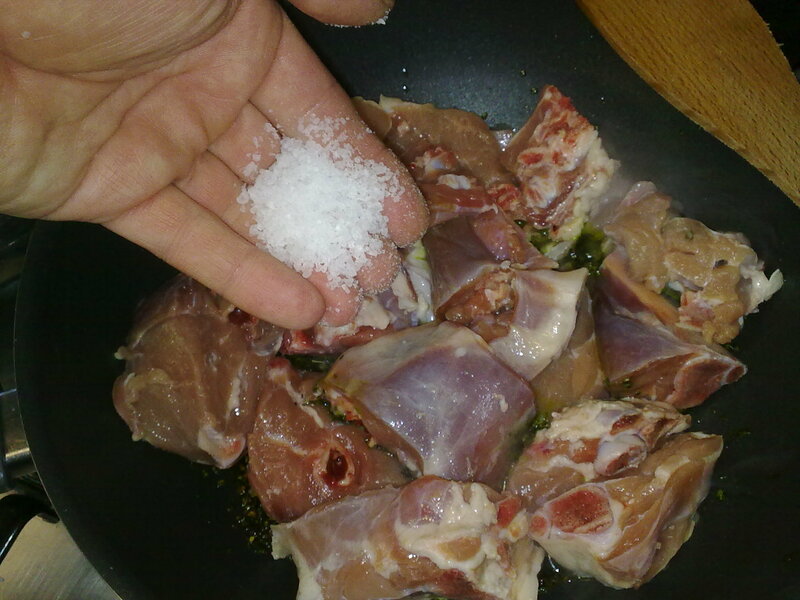 Spread the salt on top of the meat. Use a fork to upside down the meat, making it to cook on all the sides: please note that the meat have to roast and not to boil, for this reason add few pieces per time. Turn up side down few times mixing with the soffritto. Eight to ten minutes are needed to get color. 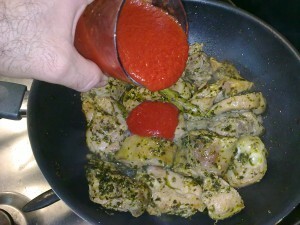 Add half glass of tomato juice. Turn the pieces upside down. 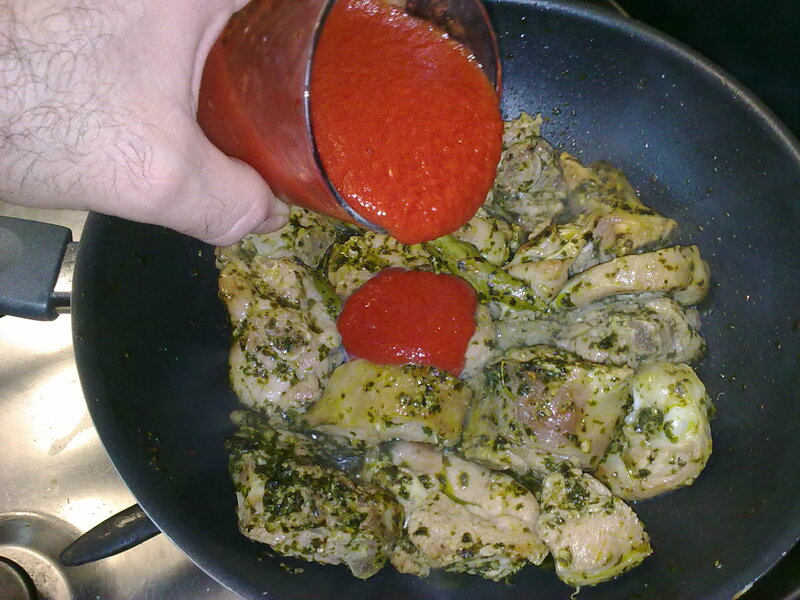 Add the remaining half glass of tomato juice on the other side. 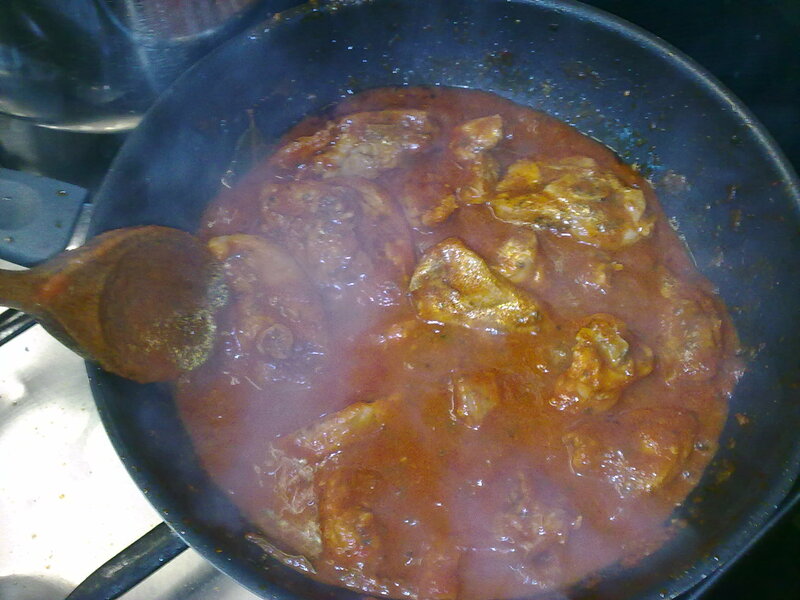 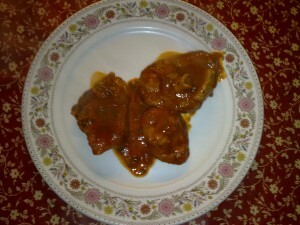 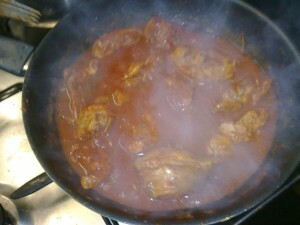 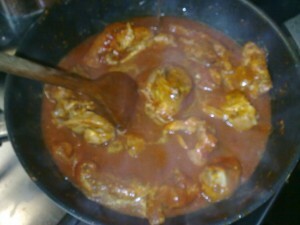 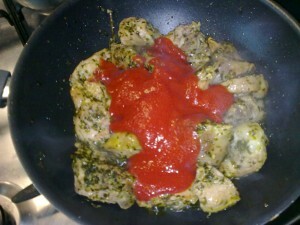 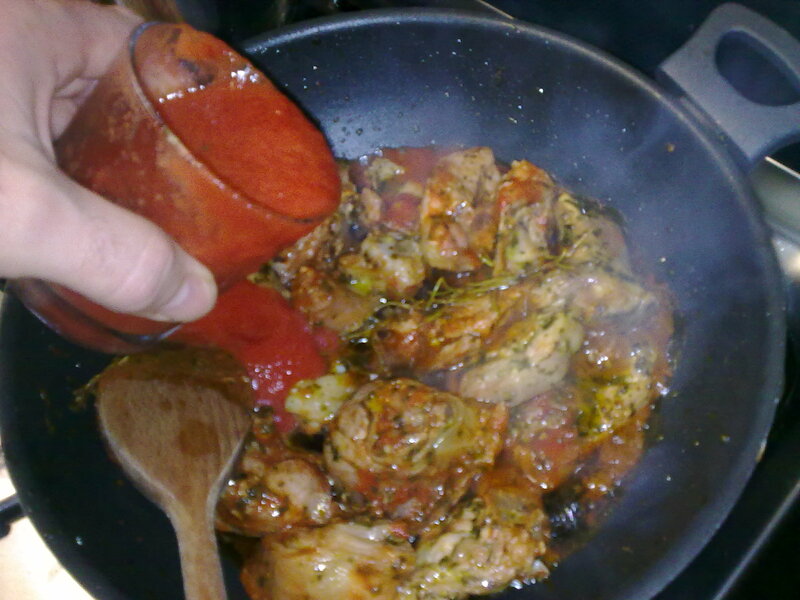 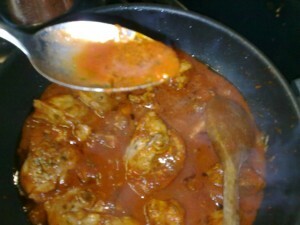 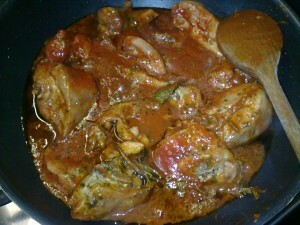 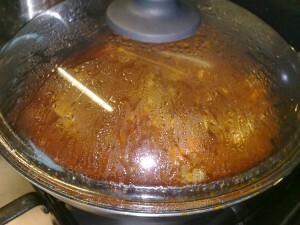 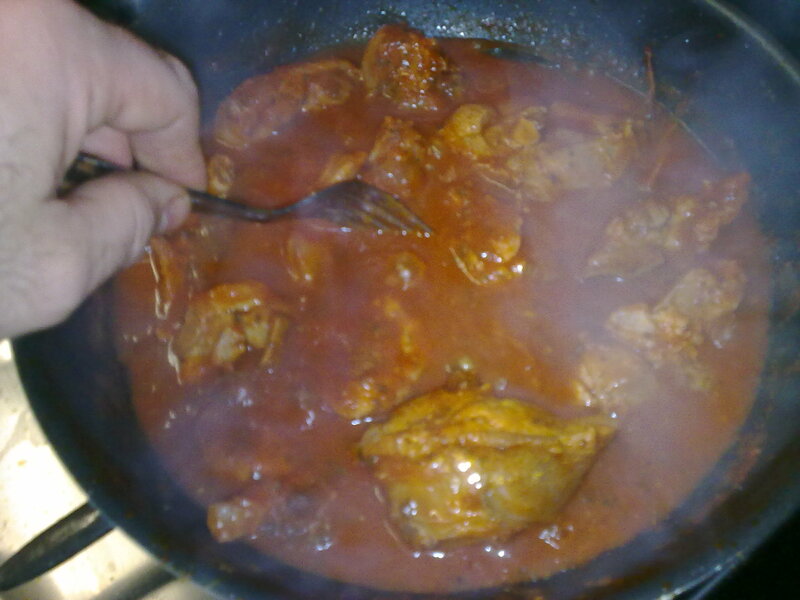 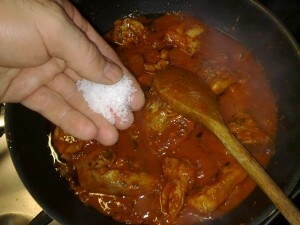 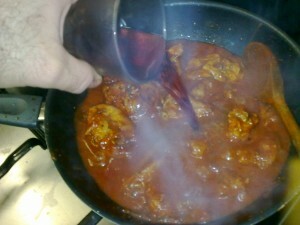 Cook five to eight minutes, the sauce will become consistent. Do a check for the salinity, add more salt if needed. 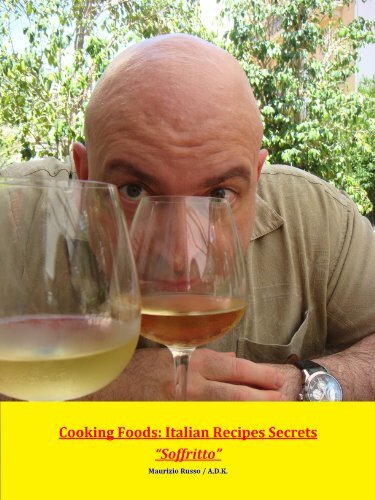 Now it is time to add the red wine: Grignolino is my choice of today. 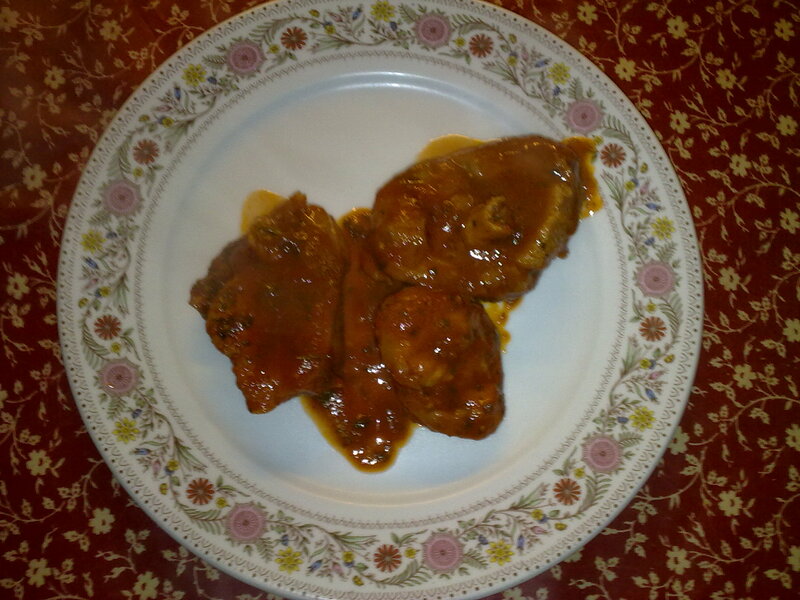 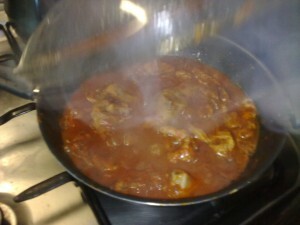 The Grignolino taste perfectly match with the lamb making it flavoured. 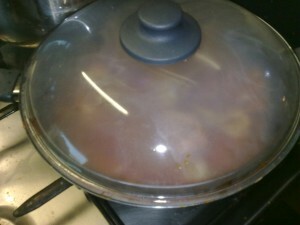 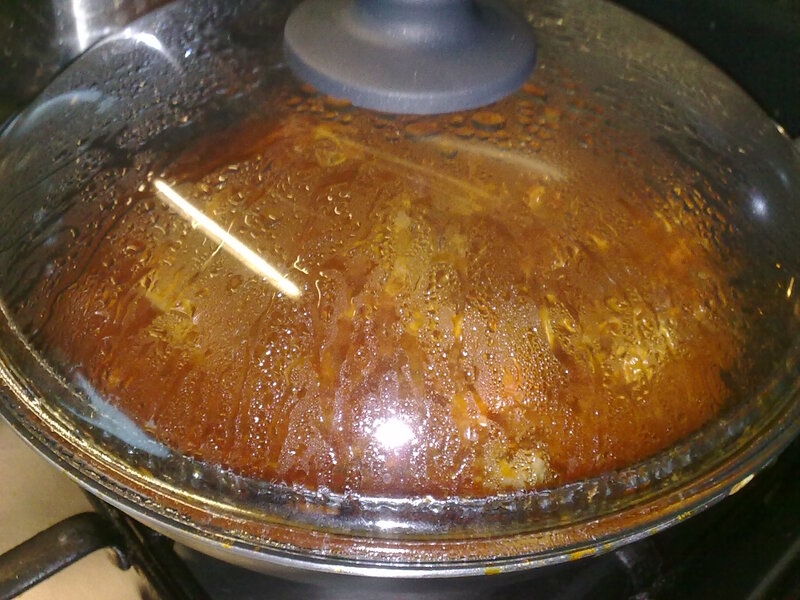 Cover with a lid and let cook for five to eight minutes. 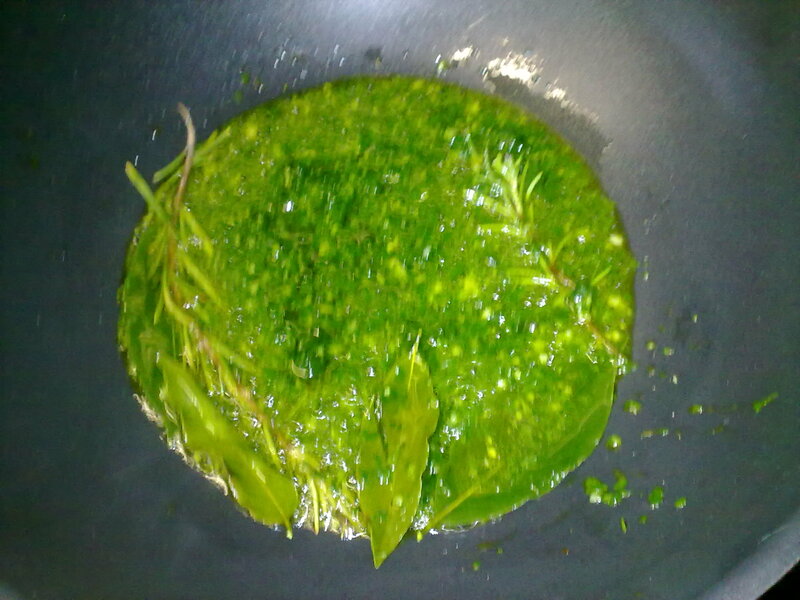 During this time few things will happen. 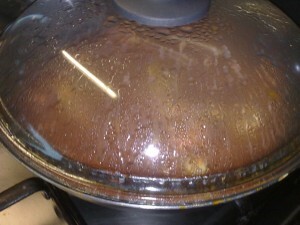 You will see the steam forming on the glass of the lid. 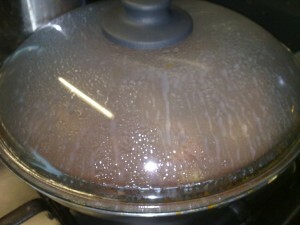 Suddenly the steam will condense in to watered juice. The juice will condense dripping back in the pan. As the glass lid becomes transparent you open it. Flavored steam will escape, turn upside down the pieces of lamb. 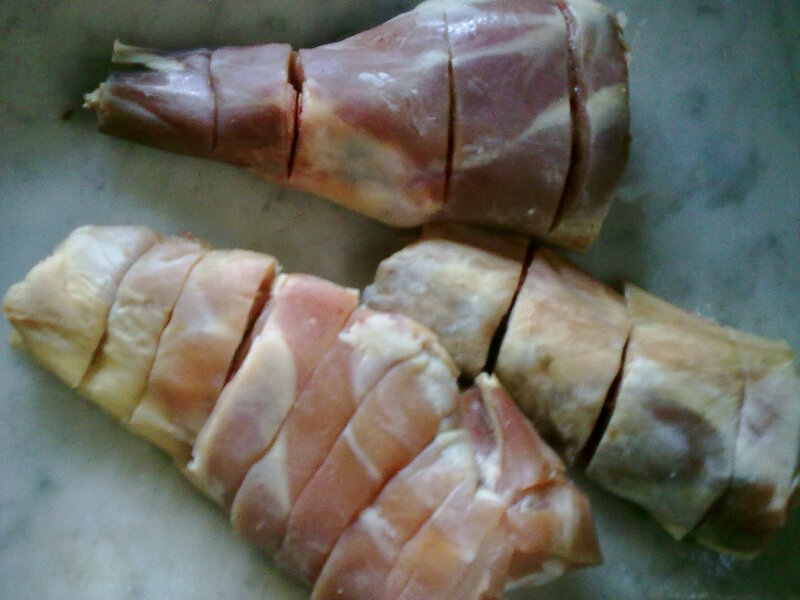 The lamb will be tender and tasty. Serve with its own sauce.